Premium Seats USA is a licensed ticket and hospitality agency that features an online ticket exchange for a wide range of events, including sports, concerts and theater. Travel, VIP and fan experience packages are also available. 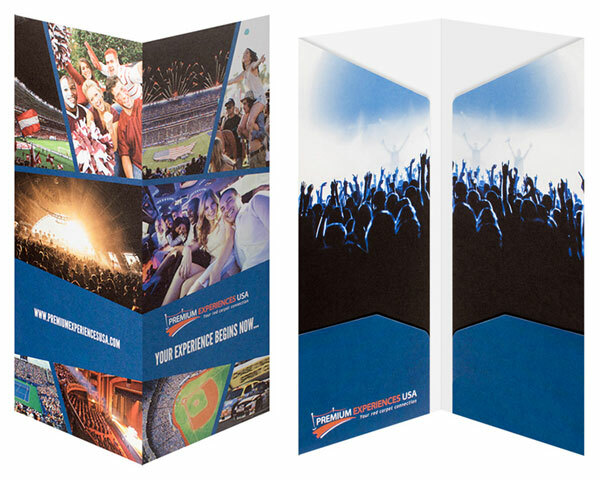 4″ x 9 1/4″ four-pocket small presentation folders featuring a four-color process design on 12pt. semi-gloss C1S stock. Damage occurred during shipping crushed the corners of the boxes, which bent the corners of the folders. Company Folders reprinted the order to address the shipping issue before Anderson had to ask. Company Folders changed the stock in the reorder at no extra cost after the customer had mistakenly selected the wrong stock. When problems came up for Premium Seats USA, Company Folders stepped in to fix them. The corners of the boxes were damaged, which bent the corners of the folders. 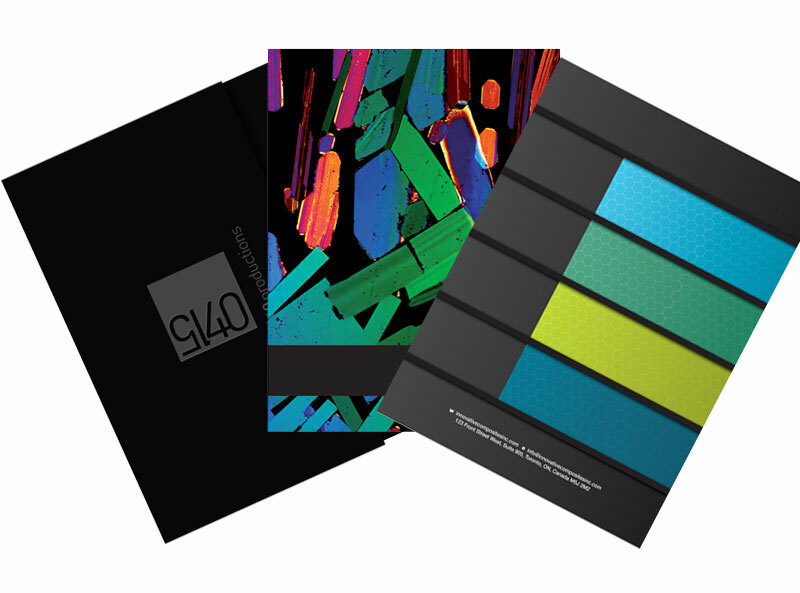 The folders featured a four-color process design on what was originally uncoated 80lb Smooth White stock, which the customer selected in error when placing the order. When the folders went back to press, Company Folders also fixed the paper stock selection error at no cost. The final folders were printed on 12pt semi-gloss C1S stock. Although it is against company policy to make a stock change in an order at no cost, Customer Service Manager Jennifer Grubb spoke to the owner about helping the customer. Anderson also said these folders ended up working out better than their previous ones because the mini pockets allow them to put more inside. She said she was pleased with the great customer service, pricing and quality of the product, and would definitely recommend Company Folders to others.